Let’s do this, SPOILERCAST-style! 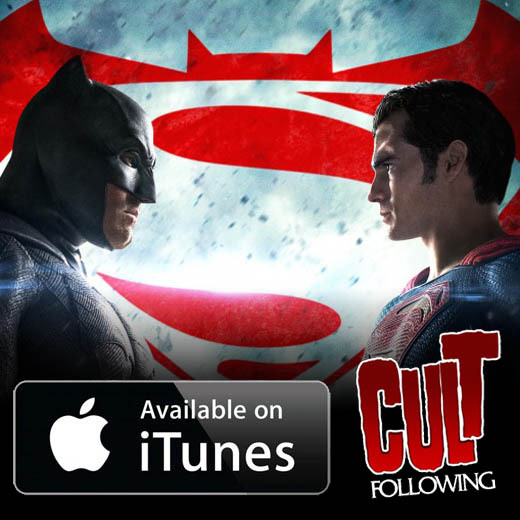 Victor of Cult Following posted a spoiler-free review of BvS:DoJ on our CultFollowing.co webpage but now it’s time to get to the nitty-gritty. All three of us have seen it and we’re ready to talk! The gloves are off and we’re not holding back so you have been warned. We also look at Daredevil Season 2, Pee Wee’s Big Holiday, Emelie and Zoolander 2. Join in on the discussion if you have opposing or supportive feedback by leaving a comment. Also make sure to check out our simulcast now on YouTube! Fantastic episode. I have some issues with BvS but nowhere near what major critics are stating. All of my issues are with pacing/editing. None with characterization. But full disclosure, I’ve read EVERY Superman comic published since 1985, and I still loved Man of Steel.